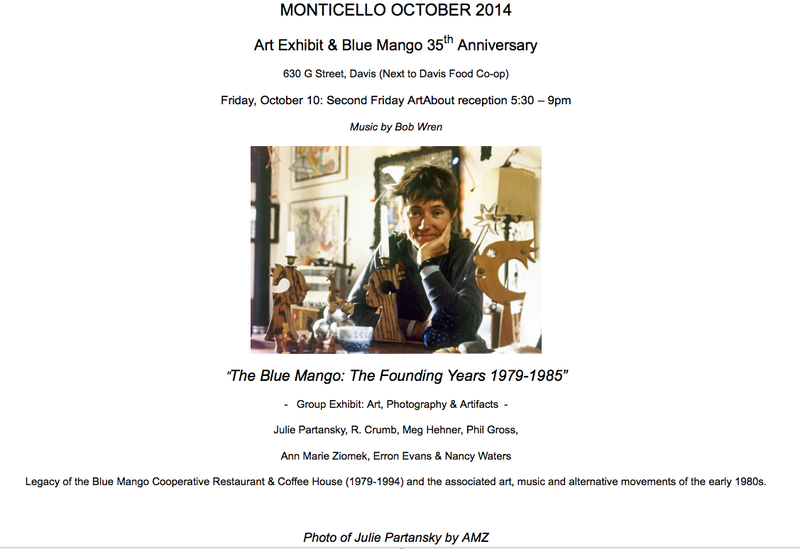 On this blog, I -- John Lofland, jlofland@dcn.org -- seek to expand our understanding of the history of Davis, California. We come at last to why we care about Robert Arneson and his house in the first place: his art. And the reason we care about his art is to determine if his house should be a candidate for designation as an historical resource. If historical resource designation required only that Arneson be a world-class artist, little would need to be said here. I would simply refer you to Jonathan Fineberg’s A Troublesome Subject and let it go at that. But that act would be insufficient. It would leave out the most amazing aspect of this historical resource case. 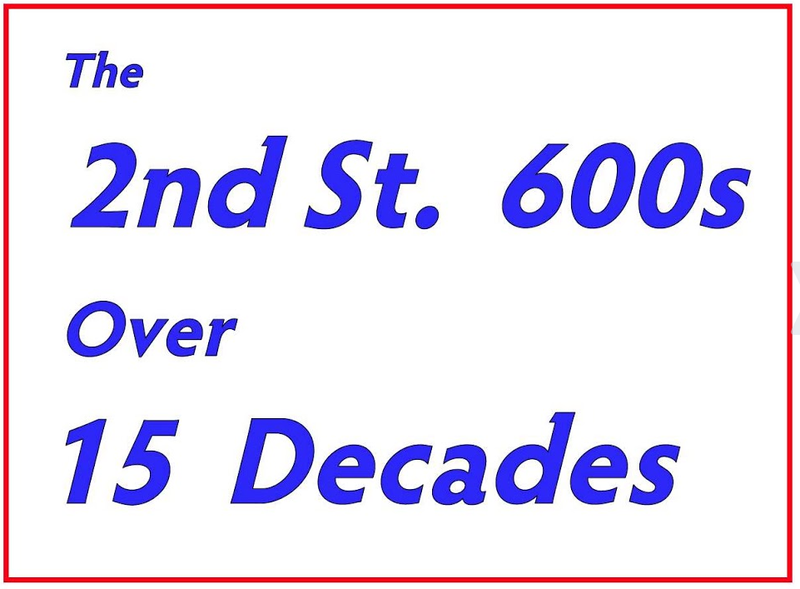 Arneson not merely lived there, he made 1303 Alice Street itself the subject of a large and striking body of art. Arneson art and psychology expert Professor Jonathan Fineberg--introduced in the previous post--documents how Arneson was a talented artist, but when he arrived in Davis in 1962 his work was not especially distinctive or noteworthy. It was UCD art department organizer Richard Nelson who apparently saw potential in him that some others did not. Arneson was not himself happy with his art, nor was he pleased to be living in a tract home next to an open, dusty field across which intensely hot winds sometimes blew. After all, he was born and raised in the bucolic river-oriented village of Benicia and had never lived outside the Bay Area (Fineberg, 68). This is a three-post series on the question of whether the former Robert Arneson residence at 1303 Alice Street in Davis should be a candidate for City of Davis designation as a “historical resource.” In the first section of this post I explain what a “historical resource” is, how that status is determined, and why anyone should care. 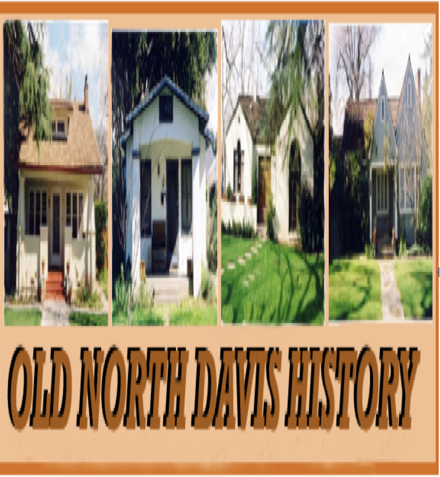 In the second part of this post and in the next two posts I report three categories of facts about the “Alice house,” as some people call it, relevant to deciding if it should be a City of Davis historical resource or not. 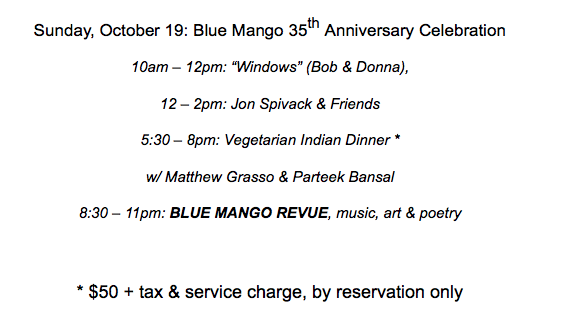 The first of these categories, appearing below, is a chronology of what happened there in the relevant years of 1962-1976. The second category and the subject of the second post is the psychology of artist Robert Aronson in the “Alice house” period and in larger context. 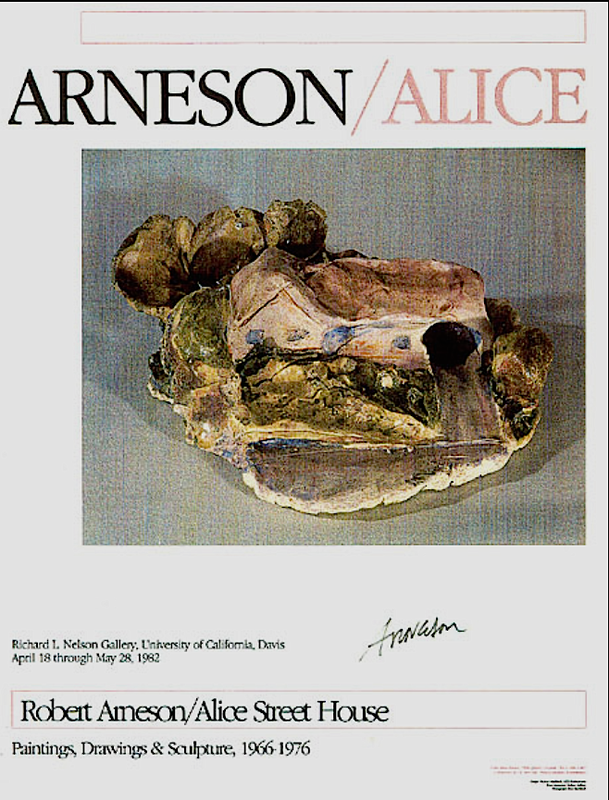 The third category and post center on the art that Arneson created while he lived in the Alice house with major attention to his art featuring the Alice house itself. Some weeks ago, I was curious about how Davis reacted to the passage of Proposition 13 in June of 1978. So I hauled out my 20-some pound April-June hardcopy, bound copy of the Davis Enterprise and began to read the June issues. Once into the four weeks of June Prop 13 materials, I was hooked. 1978 had so many striking stories that I did not resist the urge to read the entire four volumes and take high-resolution pictures of selected stories. At first, I thought I would only publish a handful of 1978 items. But now that I am up to seven posts, I see that I have hardly started to depict the many fascinating aspects of 1978. 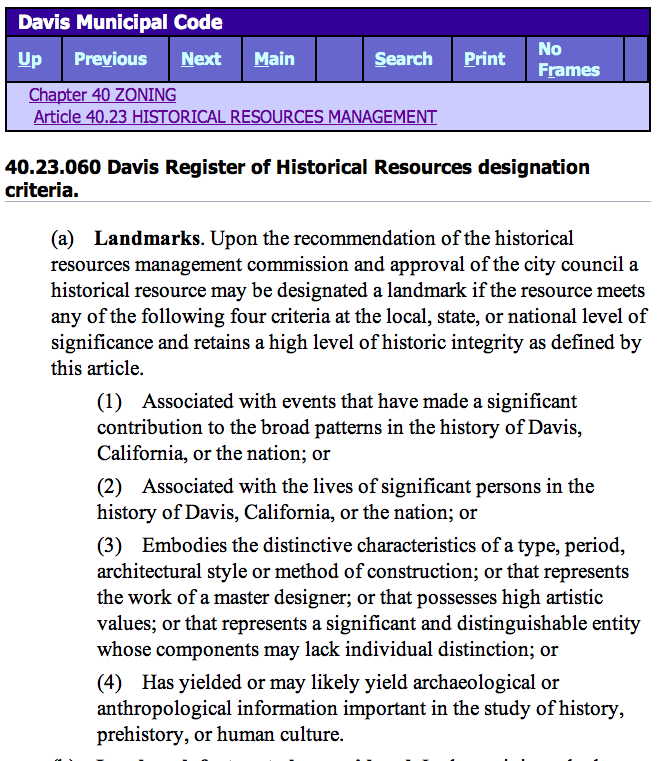 This sidebar features links to websites on which to find information on Davis history and on physical locations where such information is housed. 14 reports on the three transformations of Davis. Copyright © 2011-2017 John Lofland. Simple theme. Powered by Blogger.